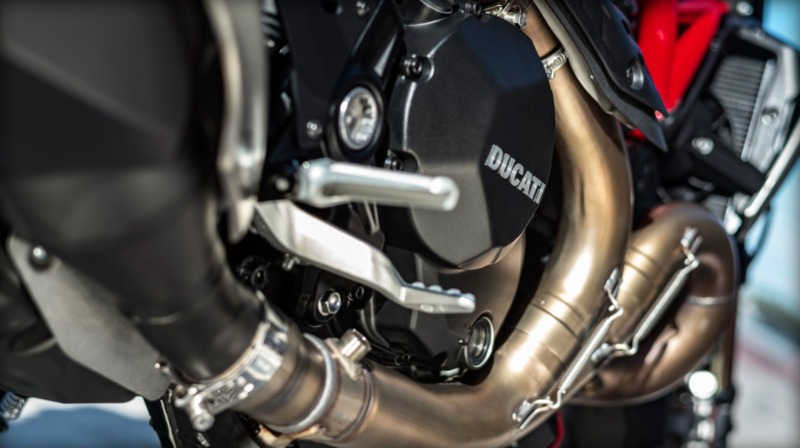 Details on the 2016 Ducati Monster 1200R are finally here. Comparisons with other bikes are largely pointless until we’ve slung a leg, which we’ll be doing at the end of the month. For now, let’s take a look at the facts and figures. Before we do, consider this, the current Ducati Monster 1200S costs £13,350, weighs 209kg ready to ride and produces 145bhp at 8,750rpm. 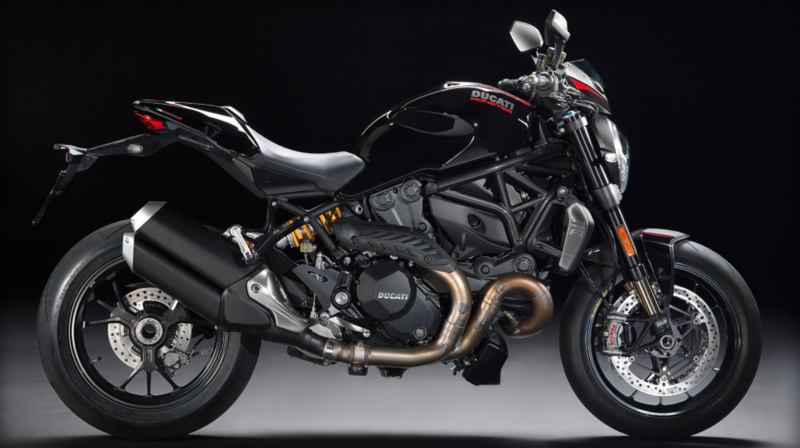 The Ducati Monster 1200R will be the most powerful production Monster Ducati has ever made. Using the same Desmodromic Testastretta L-Twin as the 1200S, the Monster R runs an increased compression ratio, pushing power up to a claimed 160bhp at 9,250 rpm. Torque is also up to 97lb-ft at 7,750 rpm. The bore and stroke of the motor in the R is identical to that in the S.
A 56mm elliptical throttle body runs on a full ride by wire fueling system, slightly up on the 53mm throttle bodies used on the 1200S. The gearbox is also identical to that seen in the Monster 1200S. 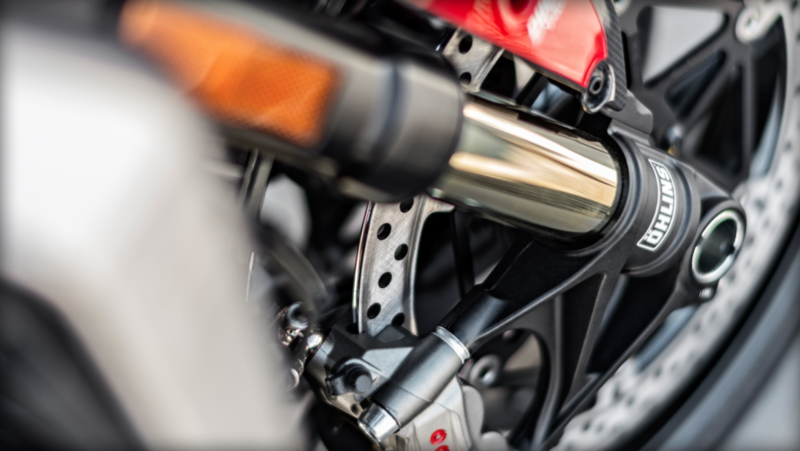 Fully adjustable Ohlins suspension front and rear will work with Pirelli Diablo Supercorsa SP tyres, the rear will come in a 200 section as standard. Braking is taken care of using the radial mount monobloc Brembo M50 calipers up front and a two piston caliper at the rear. ABS comes as standard. 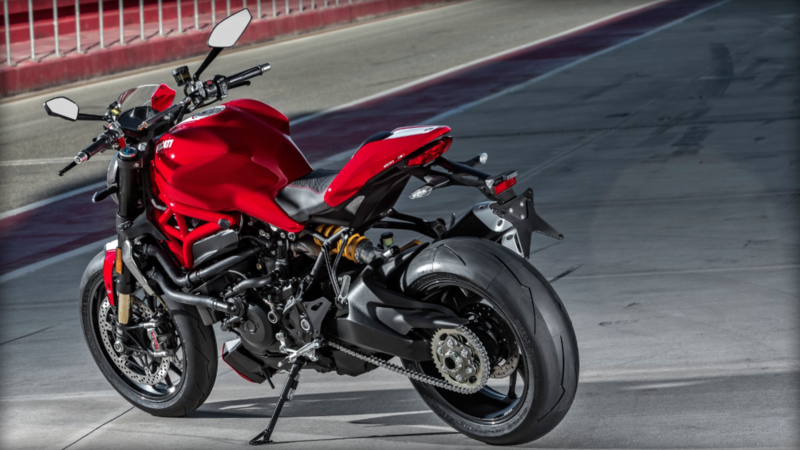 The kerb weight of the Monster 1200R is down two kilos on the S version, weighing 207kg ready to ride. The seat height is fixed at 830mm (rather than adjustable as seen on other Monsters in the range). The fuel tank is 17.5 litres and (surprisingly) the Monster 1200R is capable of carrying a pillion. 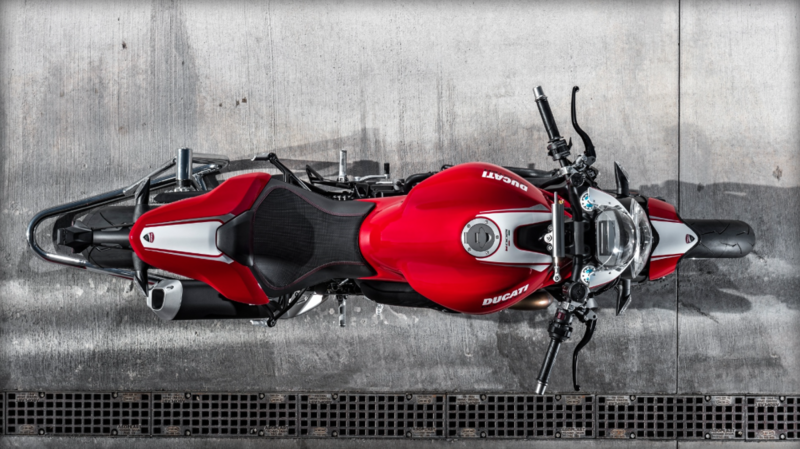 The tri-W wheels fitted to the Monster 1200R are the same as those found on the Panigale S and R models. We’ll have ridden the bike by the end of the month, keep an eye on our Facebook and Twitter feeds for more details as they come.